Outdoor Kitchens and Fire Features are custom designed with your personal preferences in mind, to seamlessly blend with your home’s exterior. All your kitchen appliances, cabinetry, facade, and countertops are carefully selected to make your backyard cooking experience a pleasure. We build our kitchens with steel framing and Hardie board, to provide the most durable and heat-proof foundation. 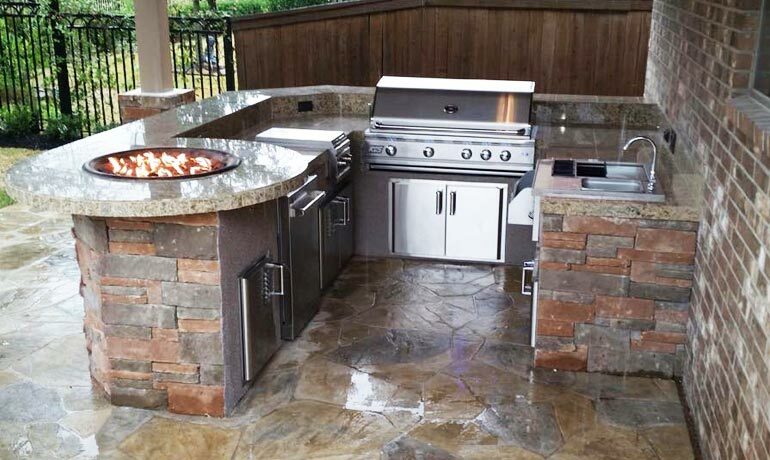 Kitchens and fire pits can be as elaborate or simple as a customer chooses. 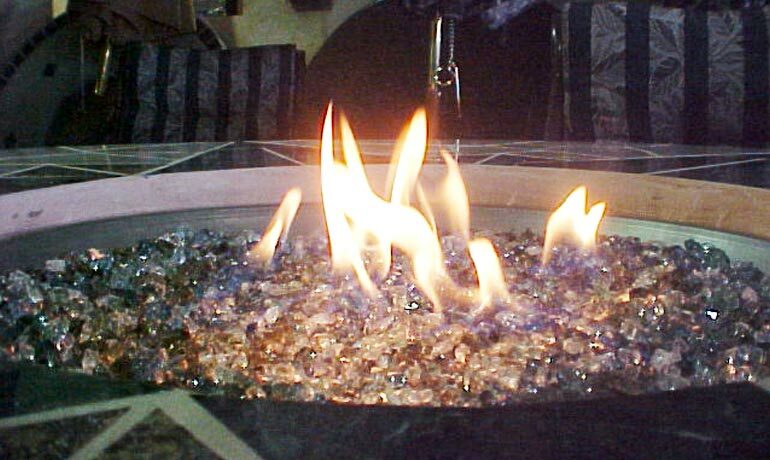 Fire pits can burn natural gas, propane, or wood.